Paper folding games can be an inexpensive way to entertain people of all ages. They are useful at a child's birthday party or as an icebreaker at an origami club meeting. Origami cootie catchers, also known as paper fortune tellers, are one of the most common types of paper folding games. You can download printable paper with fortunes already printed on it or create your own fortunes. If you create your own fortunes, remember to mix in both positive and negative fortunes to make the game more fun. Not knowing whether you'll get "You will win the lottery next month" or "You will lose something that is important to you" adds a necessary element of suspense. Ddakji, sometimes referred to as ttakji, is a Korean game that is played using folded paper disks. Each disk is made by interlocking two sheets of square origami paper. Players compete to try to flip over each other's disks, similar to how you play the American game of Pogs. Traditionally, the winning player is allowed to keep the other player's disk. 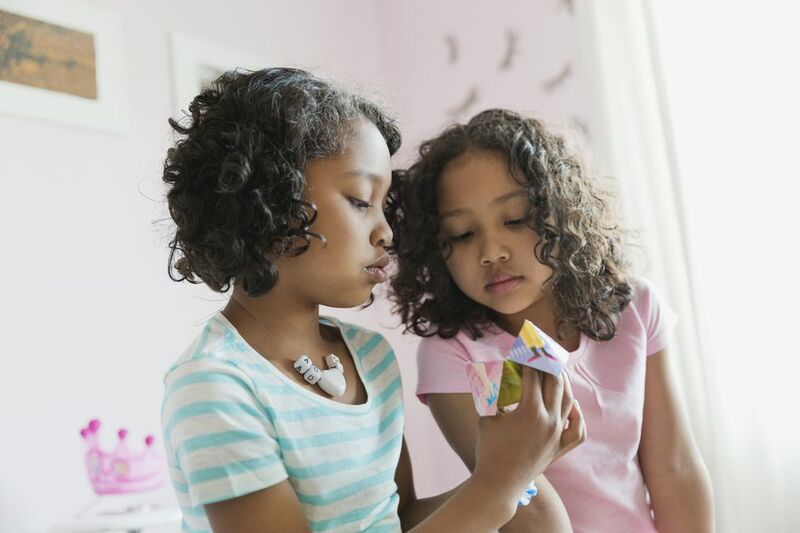 Young children will enjoy folding origami jumping frogs and seeing who can make them jump into paper boxes and other obstacles. Each frog can be folded from an index card. Players can decorate their frogs if desired to make it easier to tell whose frog is the winner of the game. Challenge a group of people to determine how many times it is possible to fold a sheet of paper in half. The commonly held wisdom is that it's impossible to fold a sheet of paper in half more than seven times, but you can work around this limitation by using long, thin paper and/or alternating the directions of folding. Others have managed to fold the paper 11, 12, or even 13 times with these methods. Everyone loves making paper airplanes. Challenge players to see who can make a paper airplane that will fly the furthest or stay in the air the longest. Joe Ayoob, a former college quarterback, holds the world record for the longest distance a paper airplane has been thrown. His plane flew 226 feet and 10 inches on February 26, 2012, but the plane was actually folded by John Collins, a producer at KRON-TV in San Francisco. If you're looking for a folded paper game to play with a group of experienced paper folders, consider having a contest to see who is the best at guessing the crease patterns of common origami models. The crease patterns of origami models are a unique form of geometric artwork and matching the crease pattern to the correct origami model provides a challenging brainteaser. As an added incentive, try offering a small package of origami paper as a prize for the winner!